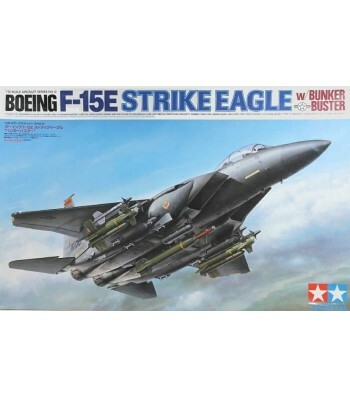 1:32 F-15E Strike Eagle - "Bunker Buster"
The McDonnell Douglas F-15 Eagle is regarded as one of the most capable twin-engine air-superiority fighters in the world today. Ever since its maiden flight in July 1972, this record breaking Mach 2.5 fighter has been a yardstick for jet fighter design. 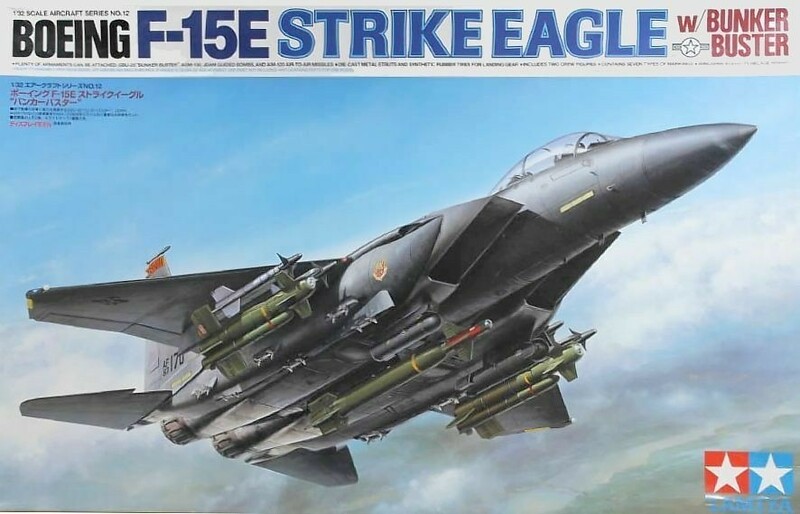 In the early 1980"s, the Air Force requested McDonnell Douglas to modify their F-15 fighter into a dual-role aircraft to be known as the F-15E "Strike Eagle" for use as an air-to-air fighter, and for air to ground attack missions. This new version was designed to penetrate deep into enemy territory unescorted, and strike military targets with pinpoint accuracy. The strike eagle employs two highly reliable Pratt & Whitney F100-PW-229 engines and was designed specifically as a two-person crew of pilot and weapons system officer. 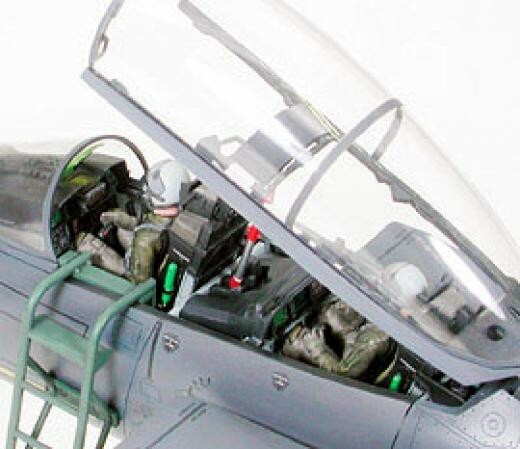 The LANTRIN (Low Altitude Navigation and Targeting Infra-Red for Night) system enables the Strike Eagle to operate at night and in bad weather. 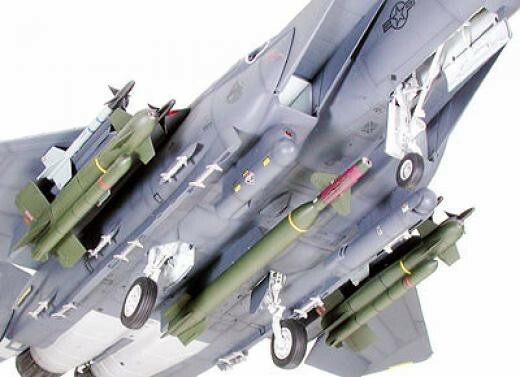 The Strike Eagle can also be employed with up to an 11-ton payload and can carry the GBU-28 Bunker Buster, a guided bomb developed to destroy strengthened underground bunkers. The Strike Eagle was first deployed in December 1989. During the Gulf War in 1991, 2 squadrons of 48 F-15E Strike Eagles demonstrated their power as multi-purpose fighter/attack planes. 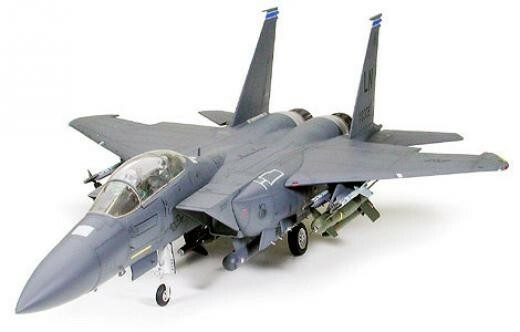 The popular F-15E Strike Eagle (item 60302) was released in 1993. 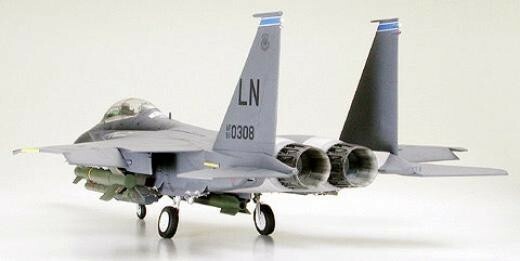 However, since this items release, the F-15E has come to be equipped with a variety of newly developed weapons systems. 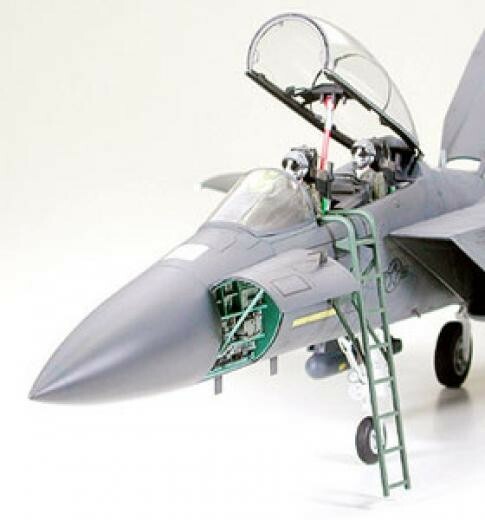 Following the changes in times and aviation fighting technology Tamiya has modernized its kit to feature accurate replicas of all the latest weapons systems employed by the F-15E Strike Eagle. 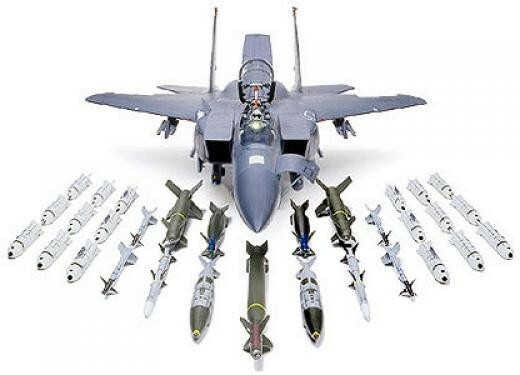 Includes parts for replication of the GBU-28 "Bunker Buster", as well as AGM-130 and JDAM guided bombs, and ARAAM air-to-air missiles. 1/32 scale, total length 600, total width 404mm. Faithfully recreates intrepid form of Strike Eagle. Main parts such as fuselage and wings are to be fastened with screws.Radar unit/nose side-access panel, and Vulcan Cannon hatch can all be opened and closed after assembly. 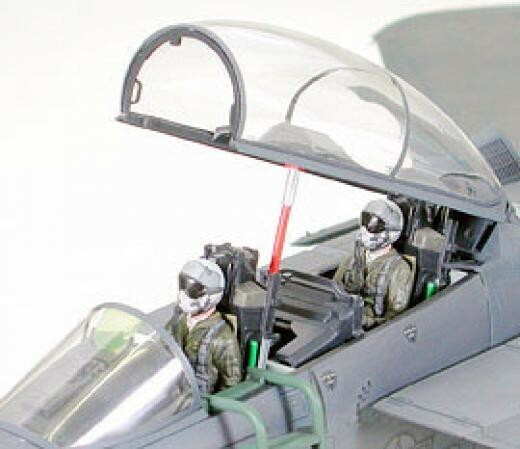 Canopy and air brakes can be assembled in either the up or down positions. Cockpit, radar, and Vulcan Cannon are all recreated down to the finest details. 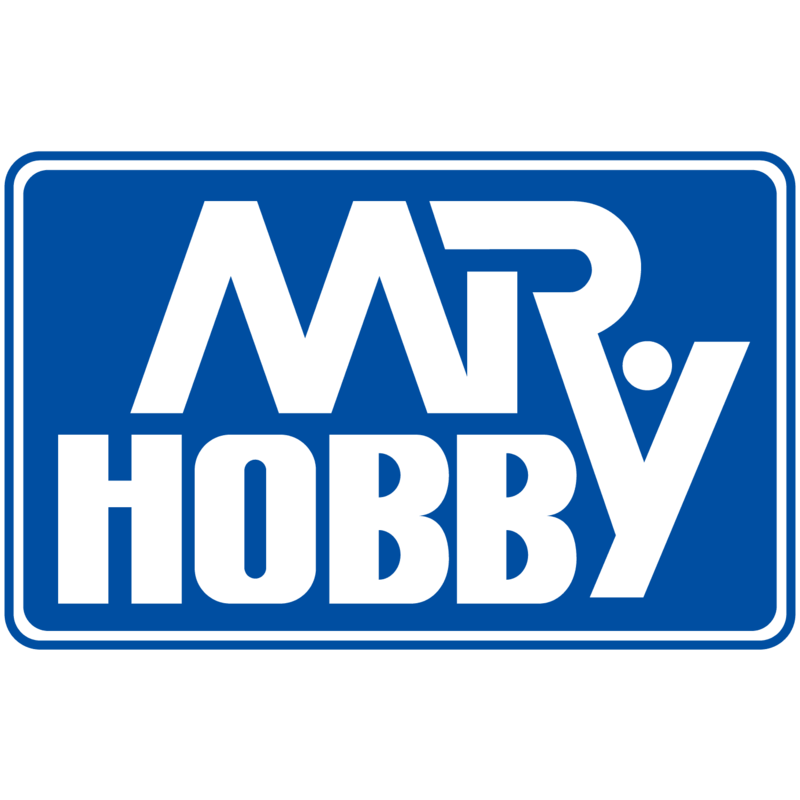 Each landing gear is brilliantly crafted in die-cast, and tires are fashioned with synthetic rubber.Each landing gear is brilliantly crafted in die-cast, and tires are fashioned with synthetic rubber.